I talk to students a lot during the recruitment process and find that many of them get caught up in the here and now. They are focused on getting a job when they graduate, but they often don’t consider what their long-term goals are. It is rare today, for a student to graduate from school and spend their entire career with one employer. As a result, students should create a business plan for themselves to truly understand what they want out of careers. By understanding long-term goals, students can correctly position themselves in their first job to facilitate the leap down the road to the job they really covet. For example, a student graduating from school with an accounting degree that wants to be the CFO of a fortune 100 company, should not really be looking at working for a small or even mid-sized CPA firm when they graduate. 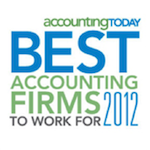 They should set their sights on one of the “Big 4” accounting firms and plan on staying there for 7 to 10 years. This will provide them with the requisite experience and exposure they will need to make them desirable to a fortune 100 company and also provide them with the greatest likelihood for success. On the other hand, a student interested in developing a long-term career in public accounting may be best served by starting in a smaller firm where they can gain exposure into more different practice areas so they can determine what direction they would like their career to take. Students should position themselves as early as they can to be successful. This means being dedicated, as many firms have GPA cut-offs for students that they hire (i.e. 3.5), and many are interested in some level of requisite experience. 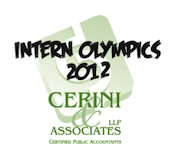 At Cerini & Associates, we hire school year and summer interns, with a focus on students in the 3rd or 4th years of school. If you have a GPA of 3.5 or greater, are majoring in accounting, and would like to intern with a growing firm, please send your resume to Tweston@ceriniandassociates.com.